The zipperless luggage not only lets you comfortably and easily access your travel essentials, but also provides multiple advanced features such as scaling your stuff, charging your smartphone, locating itself. Need all the functions? Let’s go on checking Trunkster smart luggage. 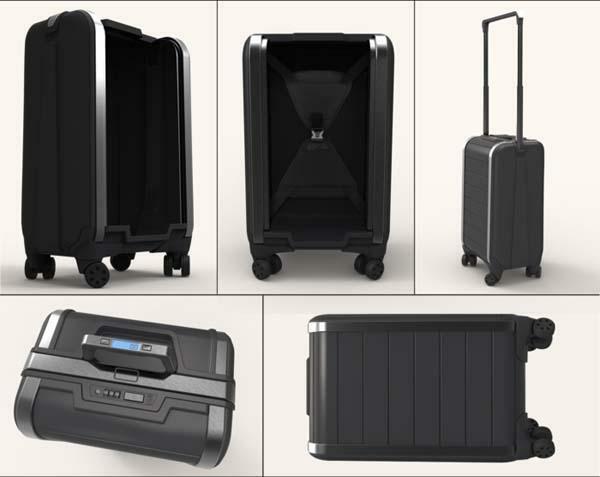 The Trunkster is a multi functional smart luggage that measures 22 x 14 x 9 inches. The carry-on luggage is made from brushed airplane grade aluminum and 100% virgin polycarbonate with a matte, deposed finish for durable construction and premium looks, and it features a unique designed zipperless entry, using its durable and waterproof rolltop door, you can more easily access your belongs, and provides an enhanced level of theft protection. Moreover, the luggage also features a removable backup battery, so you can conveniently charge your smartphone, tablet or other mobile devices on the go, and its built-in digital scale lets you easily know whether your luggage is overweight. Apart from that, GPS location will be available as an upgrade, sold separately (+$40). Using the feature relies on the same technology utilized by Apple’s “Find My Mac”, you can easily track the smart luggage from any wirelessly connected device. The team of Trunkster is raising fund via Kickstarter. 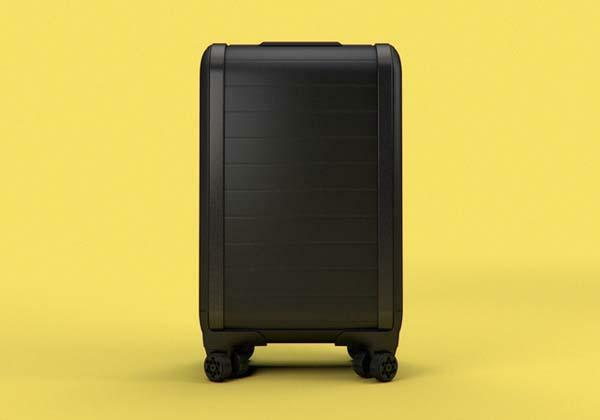 Pledging $255 will let you own the smart luggage. If you like it, head to Kickstarter official site for more details or check out the following demo video first.